Maintaining beautiful and radiant skin is a process not a miracle. Although a daily skin care regimen of cleansing. exfoliating, and moisturizing is effective at removing debris from the surface of skin, it is not always effective at preventing signs of aging and skin damage. If you are looking for a reliable remedy for maintaining your skin’s glow for a smooth and youthful appearance, Precision MD can help. With the revolutionary Clear + Brilliant laser treatment, you can prevent the visible signs of aging and maintain a soft and radiant complexion. Over time. the quality of our skin continues to decrease due to the natural aging process and constant exposure to environmental factors, such as the sun. The Clear + Brilliant laser is a non-invasive treatment that is designed to correct the formation of fine lines and wrinkles for improved texture, tone, and quality of skin. 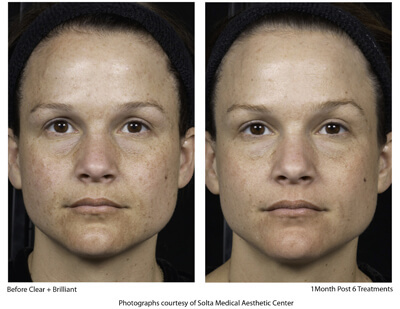 This innovative fractional laser offers a gentle and comfortable treatment for instantly noticeable improvements. Treatments typically last anywhere from 20 to 30 minutes and offer a fresh and renewed complexion with no required downtime afterwards. With this safe and quick treatment, you can diminish fine lines and complexion imperfections for smooth and radiant skin! Each treatment begins with a consultation with one of our experienced professionals in order to identify your specific skin needs and desires. Before beginning treatment, a topical numbing cream may be applied in order to ensure optimal patient comfort. 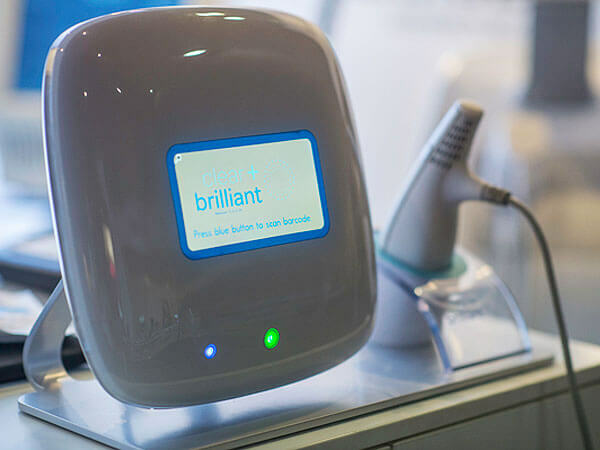 To begin the process, the specialized Clear + Brilliant handpiece is gently glided across the surface of the targeted treatment area for approximately 15 to 20 minutes. The Intelligent Optical tracking system technology effectively works to maintain the proper contact with your skin, and provides precision and even application to all targeted treatment areas. Simultaneously, the specialized energy delivered by the laser system works within the skin to activate natural collagen production and diminish skin imperfections on the surface. Following treatment, a nourishing topical serum of antioxidants may be applied to the skin immediately after. A refreshing biocellulose mask may also be used to improve and enhance your skin’s youthful glow. This treatment provides noticeable improvements in the texture, tone, and softness of your complexion. If you are ready to say goodbye to skin imperfections and the negative signs of aging, and hello to radiantly soft and glowing skin, reach out to the professionals here at Precision MD to learn more about this rejuvenating remedy. 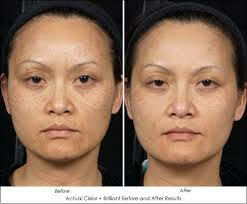 Contact us today and schedule your consultation towards glowing and youthful skin!